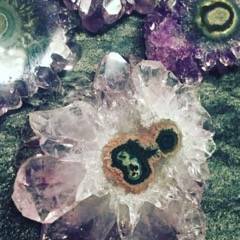 If 2017 made you exhausted and you need a way to ramp up your energy for 2018, let me introduce you to some of my favorite stones to design with that have the power to turbocharge your life. 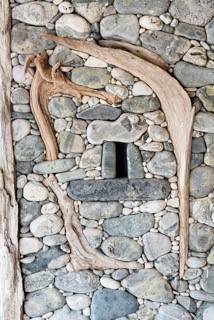 Ancient stones meticulously fused with driftwood that tell a mentoring story? This was the magic I found at Bunch of Grapes Bookstore in Martha’s Vineyard, when I discovered celebrated artist Lew French and his amazing work. 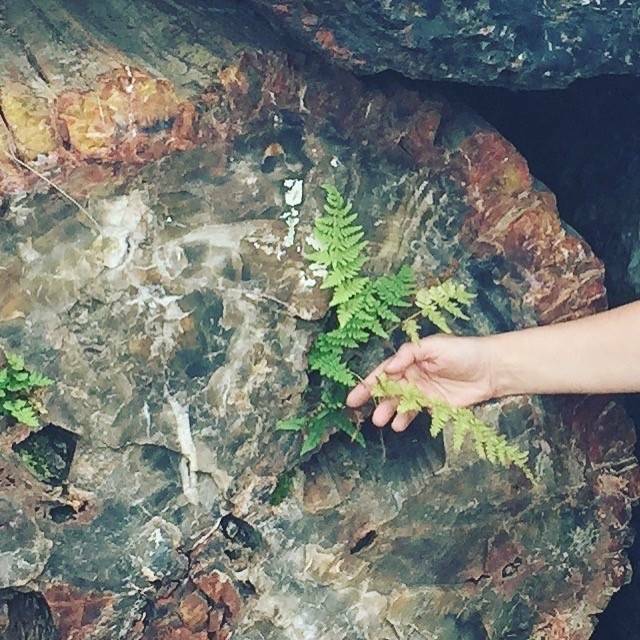 Naturally formed objects above and below the earth led me to a fascination with petrified wood. Gigantic trees plunged into the earth, starved of oxygen and buried in total darkness for over 200 million years almost magically turns wood into stone. 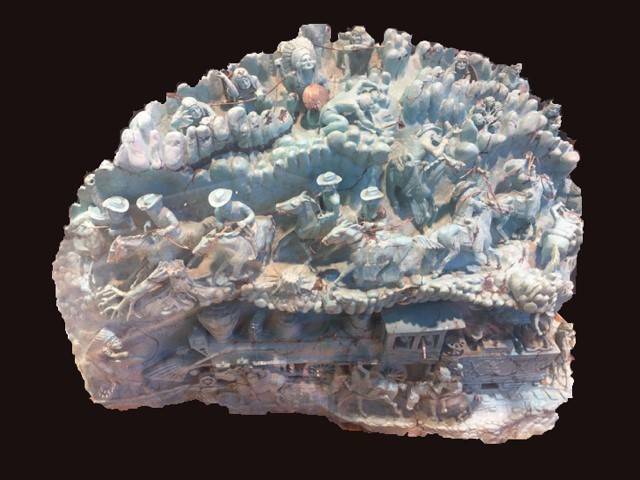 In 1970, a silver mine in Mexico released a 70-pound piece of turquoise from the earth, and a talented stone carver saw its future. Finally, meditation rooms are demanding space on blueprints. A dynamic leader in “calm” design, Meichi Peng focuses on areas specifically for rejuvenation. 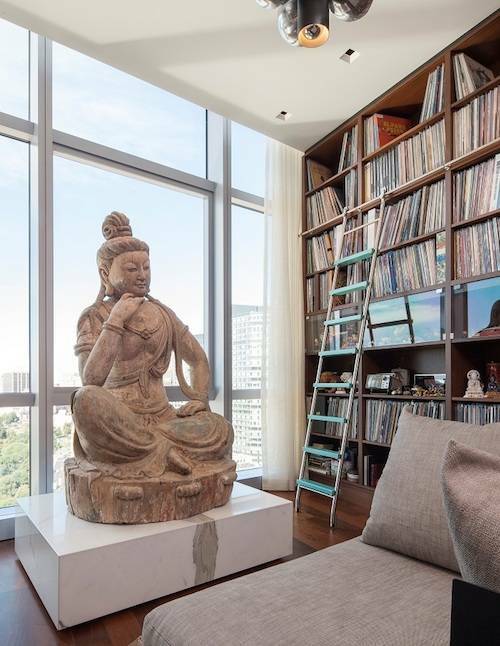 Stone is an essential ingredient found in most of her peaceful spaces. During one of my recent stone buying trips, my guide took a hard left off the trail, promising something wonderful awaited us. Hiking in the middle of nowhere, my human interaction with prehistoric footprints was about to merge. 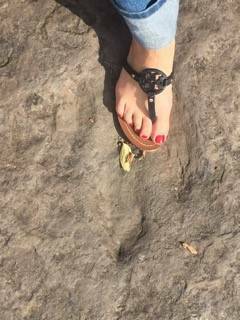 Unknown to me, dinosaur tracks are the official state fossil of Massachusetts.